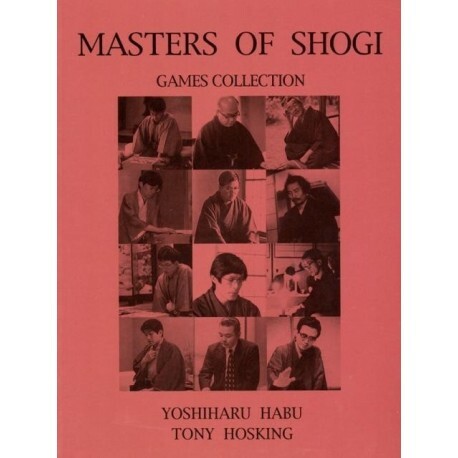 Masters of Shogi. 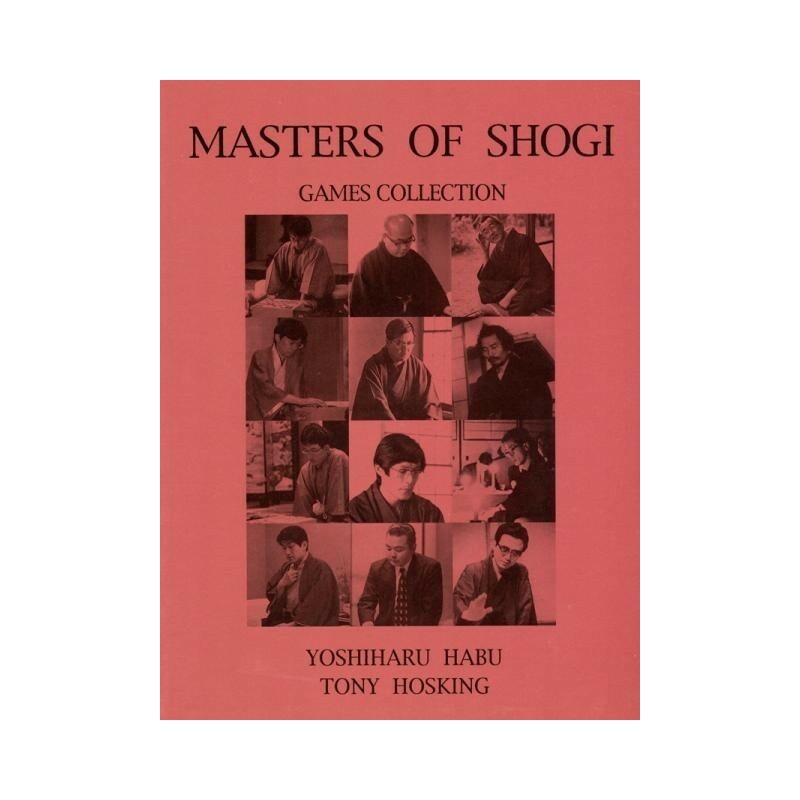 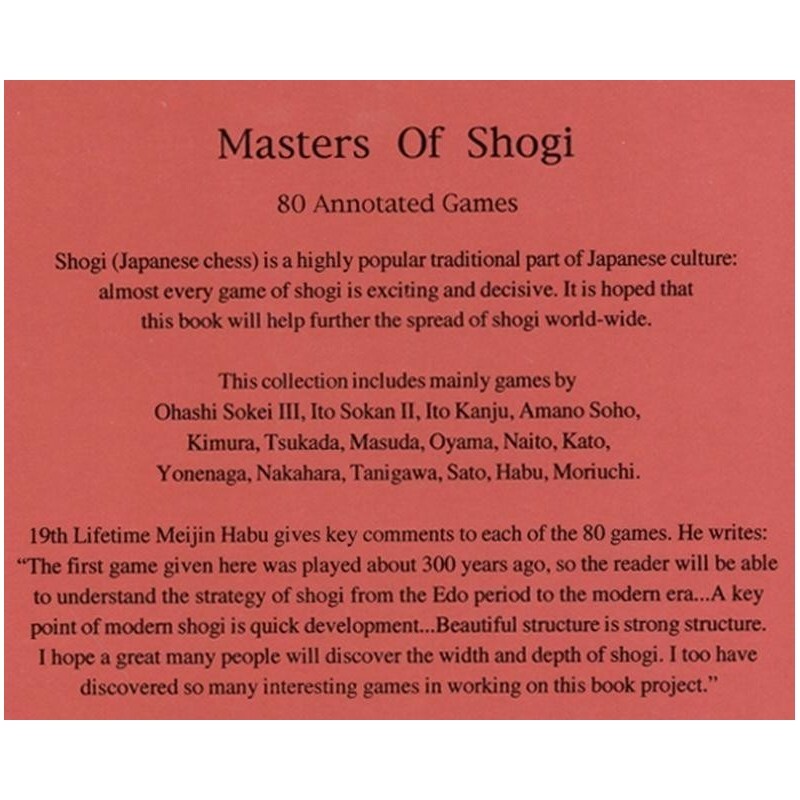 Yoshiharu Habu/Tony Hosking - The Shogi Foundation 2010 - English - 164 p.
Libro de partidos de shogi - ajedrez japones - pro. comentadas.